As a highly regulated industry we are regulated on how we ship LIVE insects. We ship all of our butterflies FedEx Priority Overnight. We try and make sure all our clients get their butterflies the day before their event. As long as you aren’t in a rural area you will receive your butterflies by 10:30 AM. If you are in a rural area your butterflies could be delivered as late as 4:30 PM the day before your event. 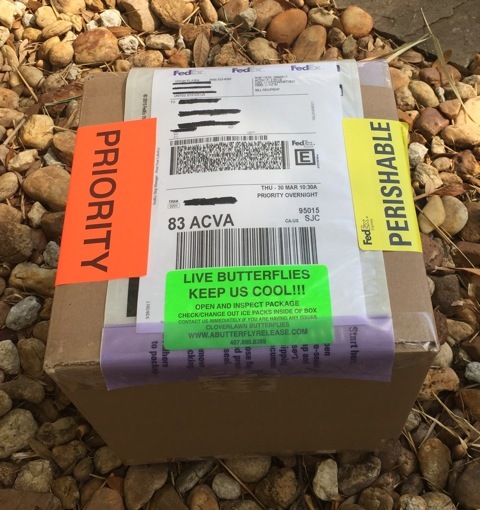 When you order live butterflies for release from Cloverlawn Butterflies you will see our instructions start on the outside of the package. We never leave our clients wondering what to do with their butterflies. 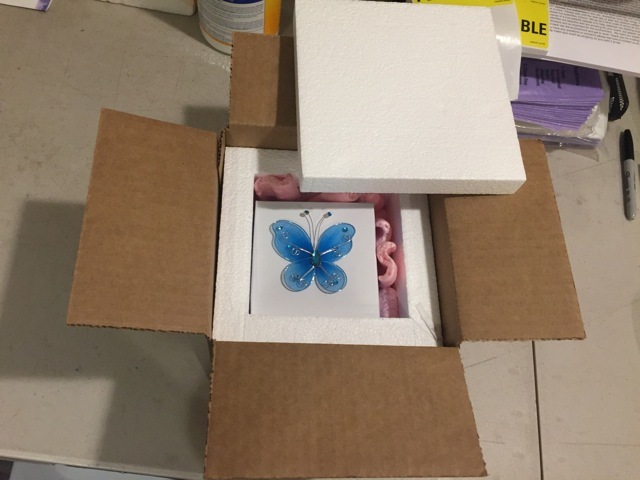 When you open your package you will see your butterflies are in a 1 inch thick foam lined insulated cooler type of a box AKA a baby refrigerator. 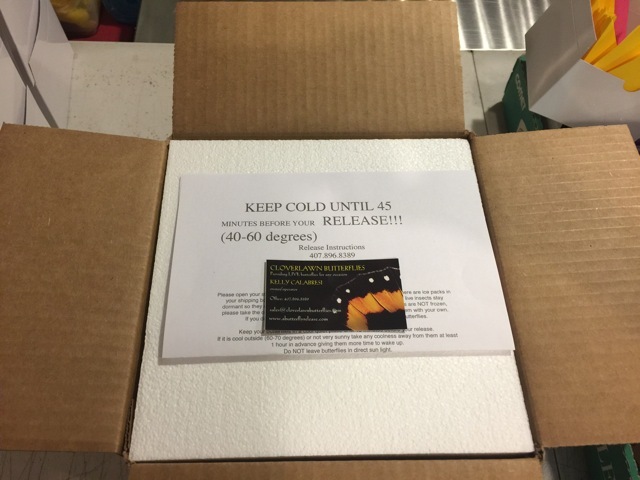 Your detailed Live Butterfly Release Instructions with our business card will be on top of your cooler lid. Picture Caption: Once you take the lid off you will see your butterflies are packaged nice and safe. Your goal is to keep your butterflies nice and cool until 45 minutes to an hour before you release them. That does mean you can put your butterflies still in the shipping box in the refrigerator, just do not put them in the freezer. 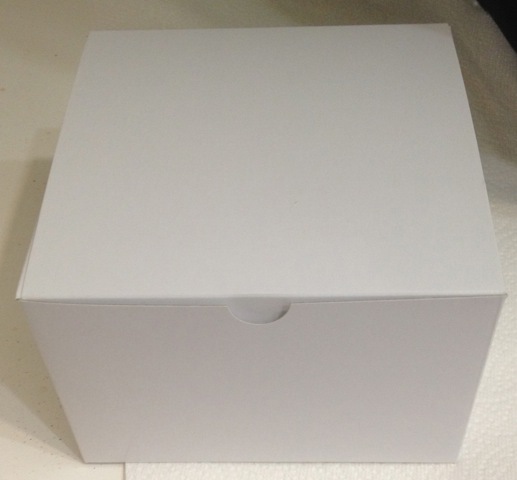 Picture Caption: You will see your ice pack(s) inside the box once it is opened. Once you are ready to release your butterflies you take them away from their cooler at least 45 minutes to an hour before releasing them. Let them warm up in their natural environment (which is outside) and they will get ready to fly!! At Cloverlawn Butterflies we 100% guarantee our butterflies to be alive. We feed and exercise each butterfly before they leave our facility only sending out the most perfect of our stock. 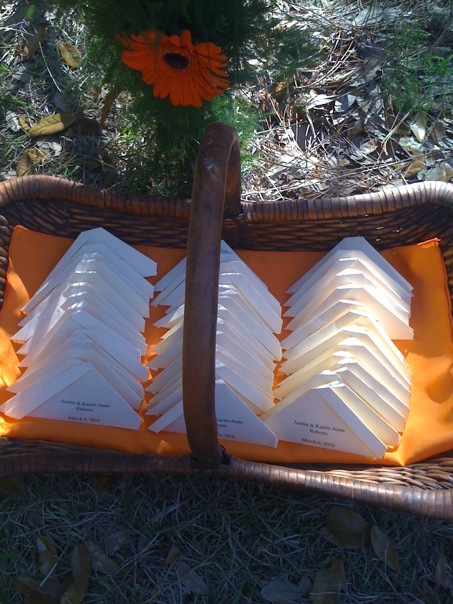 Picture Caption: A Live Butterfly Release Package of our Individual Envelopes. 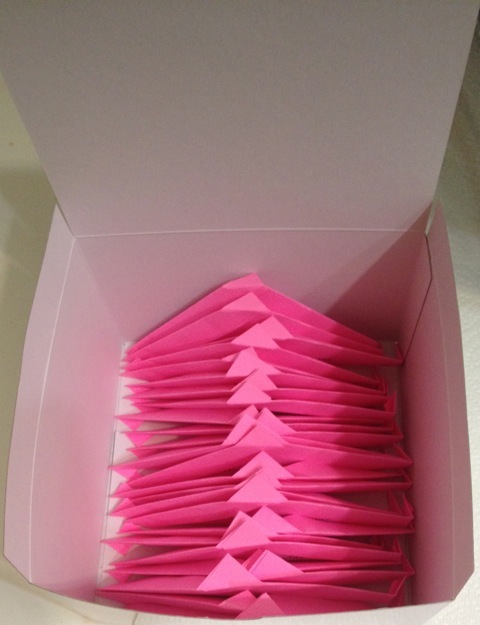 Picture Caption: A Live Butterfly Release Package of our Individual Envelopes with a Butterfly inside each one.